The battle over the next Attorney General has to date been centered on William Barr’s public views on executive authority and the proper role of Special Counsel Bob Mueller’s Russia investigation. Two issues that are far more important, yet not properly discussed, are Barr’s controversial views on the Bill of Rights. Specifically, Barr’s restrictive views on the 2nd Amendment and the 4th Amendments to the Constitution. Many Republicans have strayed from a constitutional duty to support a limited view of federal power. The Bill of Rights recognizes the natural rights, and some positive rights, that all Americans hold dear. We live in a nation where people have the natural rights, recognized in the Constitution, to free speech, defend themselves with a firearm, privacy and a host of positive rights like the right to a trial by jury and the right to not be forced to incriminate themselves. The Bill of Rights provide limits to federal power, because it is natural for politicians to want to use the massive federal powers to solve crime and terrorism in the simplest way possible. The rights exist to provide some protections against federal overreach and short cuts that violate innocent Americans’ right to be left alone. 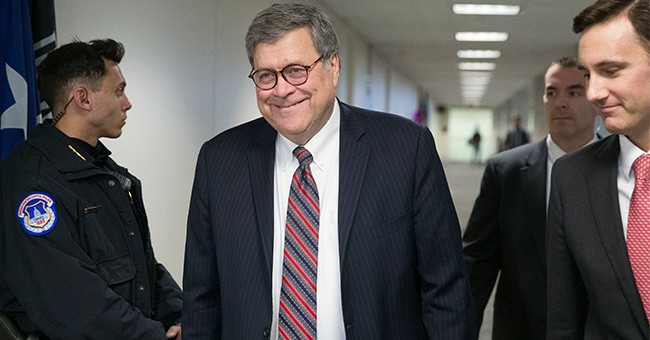 When Barr was nominated to be President George W. Bush’s Attorney General, he said in response to a gun control question from the late Sen. Edward Kennedy (D-MA) on November 12, 1991 that he supported a limitation on the size of clips sold. He also voiced support for an amendment to a crime bill that became law in 1990 that, according to the New York Times, “the Senate today approved a measure that would ban for three years the manufacture and sale of nine types of semiautomatic assault weapons.” The George H. W. Bush Administration and Barr’s testimony gave cover to many Republicans to vote for a ban on certain types of guns and that amendment passed on a stunning 50-49 vote. Barr’s views on the 2nd Amendment raise a big red flag for constitutional conservatives who want the Trump Administration to defend the right to defend oneself with the firearm of their choice. Barr has mentioned the idea of “front end due process” on constitutional rights and, as a lawyer, any time a politician modifies the idea of “due process” it makes me nervous that functionally “front end due process” is chipping away at the due process rights of all Americans with regard to all constitutional rights. These are legitimate concerns that many conservatives in the Senate will support the same expanded powers for the executive branch that lead to warrantless wiretapping and the power of a FISA Court to issue orders allowing the monitoring of a political campaign for president. The political weaponization of these powers has happened under the Obama administration, therefore these powers need to be reeled in. Barr seems to be a full-throated supporter of the vast power of the federal government to monitor citizens without a warrant based on probably cause as required by the 4th Amendment to the Constitution. The liberty strain of the conservative movement is far too small when only one Senator stands up to voice concerns about a Republican who holds views that restrict the constitutional rights of all Americans. I voted for President Donald J. Trump and still support his efforts to cut taxes, load up the courts with constitutional conservatives, and end the endless war policies that have had our nation in our longest war in Afghanistan, yet I agree with Sen. Paul that William Barr was the wrong choice to be the next Attorney General of the United States.